5 Amazing Free Kindle History Deals for Wednesday! *Unremembered Victory: Time for this Story to be American History by Dennis Klein, Wade Thompson. Price: Free. 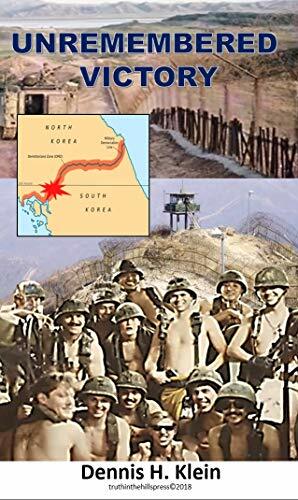 Genre: Non Fiction, Sponsor, American History, 1968, Unreported DMZ War, Unremembered Victory. Rated: 5 stars on 1 Reviews. 201 pages. ASIN: B07GCB57TD. *Following Shadows: A World War II Novel about Japanese Concentration Camps, the Impact on Families, and Triumph of the Human Spirit (Deal, Not Free) by Janneke Jobsis Brown. Price: $0.99. Genre: Historical Fiction Deal, Sponsor, WWII, Death Haunts a Family for 60 years after World War II. Rated: 4.9 stars on 9 Reviews. 548 pages. ASIN: B0758GLBBY. *MIDDLE AGES: Mysterious Ages (GREAT BIOGRAPHIES Book 1) by THE HISTORY HOUR. Price: Free. Genre: History, Europe, Medieval. Rated: 5 stars on 4 Reviews. 134 pages. ASIN: B07GH8PGY6. Thomas Edison: The One Who Changed The World (GREAT BIOGRAPHIES Book 1) by THE HISTORY HOUR. Price: Free. Genre: Biographies & Memoirs, History. Rated: 4.7 stars on 4 Reviews. 82 pages. ASIN: B07GH53V48. Posted on September 1, 2018 Author KibetCategories Free Kindle History Books, HIstorical, Historical Fiction, HIstory, Religion, WarLeave a comment on 5 Amazing Free Kindle History Deals for Wednesday! 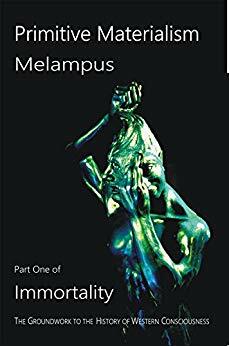 (Free for Kindle Unlimited) Primitive Materialism (Immortality, Groundwork to the History of Western Consciousness Book 1) (Deal, Not Free) by Melampus, Sigmund Black. Price: $4.99. Genre: Non Fiction Deal, Sponsor, History of Religion from Prehistory to Close of Ancient Period. Rated: 5 stars on 1 Reviews. 410 pages. ASIN: B07FP4FTVV. Get the paperback version at $19.90 here, please. **Tiara by John Reinhard Dizon. Price: Free. Genre: History, Europe, Ireland. Rated 4.7 stars on 73 Reviews. 155 pages. ASIN: B01BMSHHZO. Extraordinary Hearts: Reclaiming Gay Sensibility’s Central Role in the Progress of Civilization by Nicholas F. Benton. Price: Free. Genre: History, Historical Study, Social History, Gay & Gender Studies, Americas, United States, 20th Century. Rated 4.1 stars on 15 Reviews. 244 pages. ASIN: B00F0SNHCK. Posted on August 24, 2018 Author KibetCategories Free Kindle History Books, HIstorical, HIstory, ReligionLeave a comment on Kindle History Deals for Thursday! **The Unknown Life of Jesus Christ by Nicolas Notovitch. Price: Free. Genre: Nonfiction, Religion, Christianity, Biblical History & Culture. Rated: 4 stars on 131 Reviews. 105 pages. ASIN: B0763FHDM4. Posted on February 20, 2018 Author KibetCategories Free Kindle History Books, HIstory, ReligionLeave a comment on Kindle History Deals for Monday!